The InterAgency Study (IAS) series is published by the Command and General Staff College Foundation Press for the Simons Center for Interagency Cooperation. The IAS series represents scholarly, in-depth research that contributes to a better understanding and history of a particular interagency issue or policy. IAS research utilizes mainly primary source material and provides findings and conclusions from an institutional perspective. InterAgency Studies are primarily web-exclusive publications. 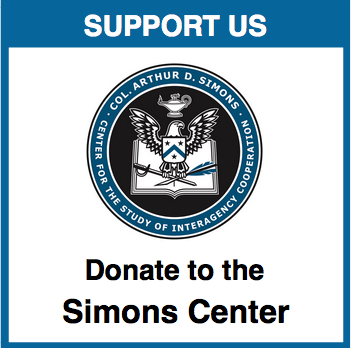 To receive updates about the release of new Simons Center publications, Simons Center news and events, and other interagency news and events via email, please sign up for email alerts. 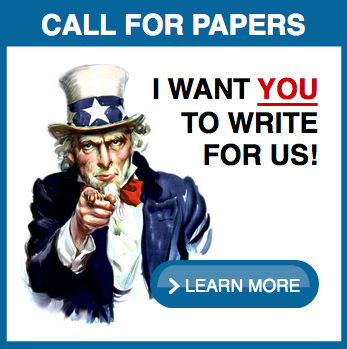 – An email alert sign up is available on most every page of the Simons Center website. This study examines the relationship between internal security forces and sub-state political violence. 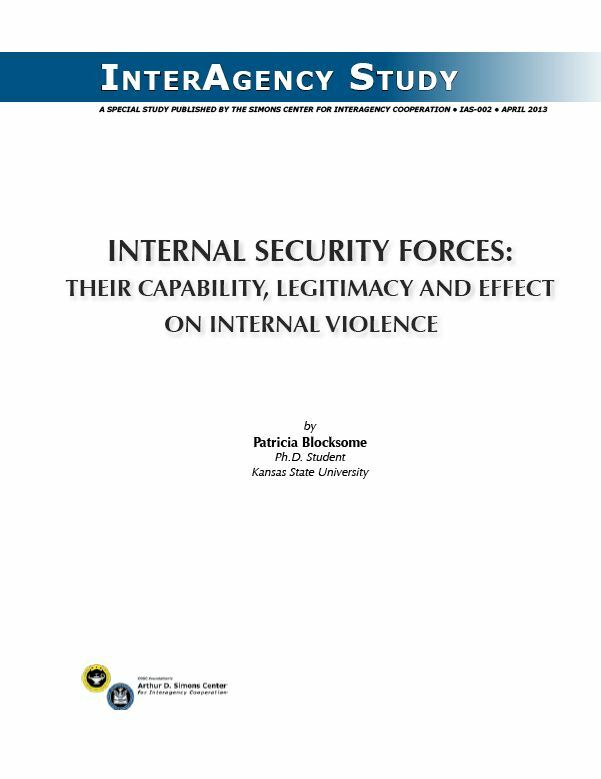 The author looks at how civil conflict is shaped by both the quantity and quality of ISFs, and the need for an interagency approach in building security capacity, including government, military, peacekeeping, and law enforcement training. 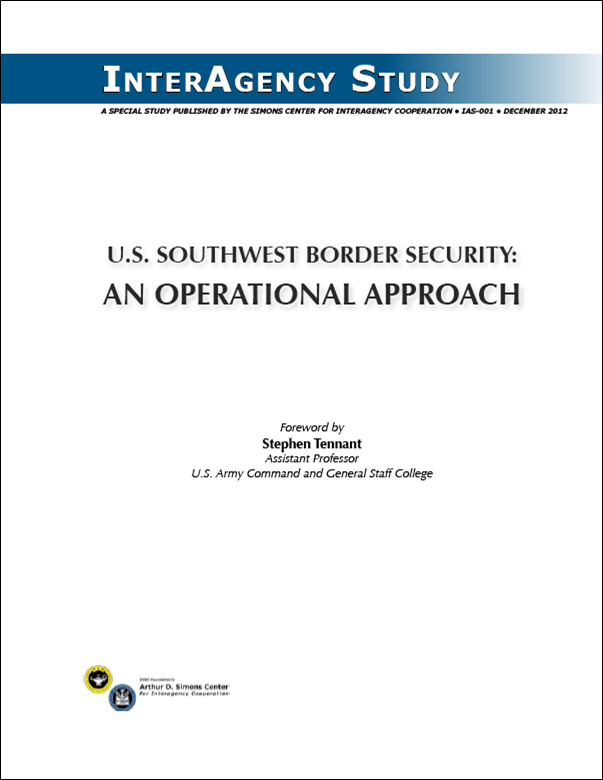 This study focuses on security at the U.S. Southwest border, and begins with a broad view of border region issues before narrowing its focus to security and how DoD can support a whole of government approach to border security. The authors examined the border region from various perspectives and applied selected tools of anthropology, physical and cultural geography, and military doctrine.